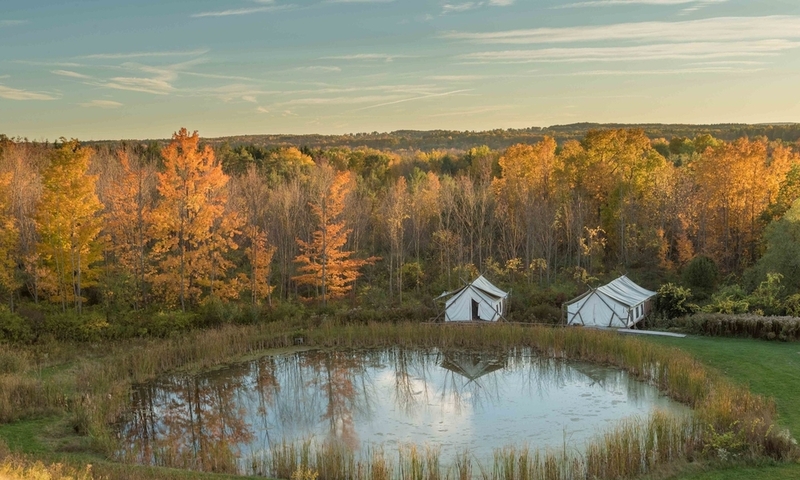 Pitched on the grounds of La Tourelle Resort and Spa in Ithaca, New York, Firelight Camps is a luxury campground. STREAM Collaborative created a master site plan and layout for the Firelight Camps and helped this plan move through municpal approvals. In addition, STREAM designed tent platforms and the on-site Bath House facility.